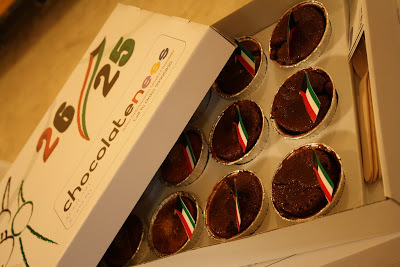 Celebrating Kuwait Liberation and National day, today's deserts was moltens from Chocolateness! The packaging was quite nice, and they currently can mix two flavour in one box, we got chocolate, rahash, caramel and peanut butter ! Six pieces of each flavour, Yum ! Enjoy the long weekend folks ! Check out my fashion blog?